It appeared as if summer had arrived early, the cold weather has left us. As is often the case, August was a windy month with steady breezes cooling things down. The local tribe, Shangaans named the month of August “Mhawuri” – the month of strong winds. They also believe that if the wind doesn’t blow in August we will experience drought and if it blows strong and continuous it foretells of a good rainy season. The flowering acacia trees are the most prominent indicator of the coming spring. Midday temperatures have reached a comfortable 32 degrees Celsius with evening temperatures cooling to around 15 degrees. The August winds have faded to dusty red sunrises. 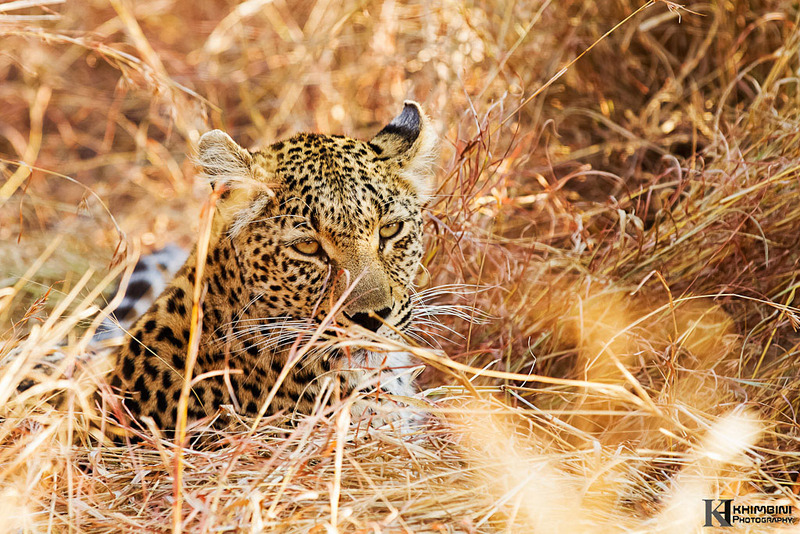 The wildlife has been spectacular this month at Inyati, incredible variety of species sighted continues as the last of the trees lose their leaves and the dry grasses are now trampled into the dust allowing us to see from big to small animals. She continues to roam large and large areas, she is heavily pregnant possible expand a territory to have more room to raise her litter arriving soon. 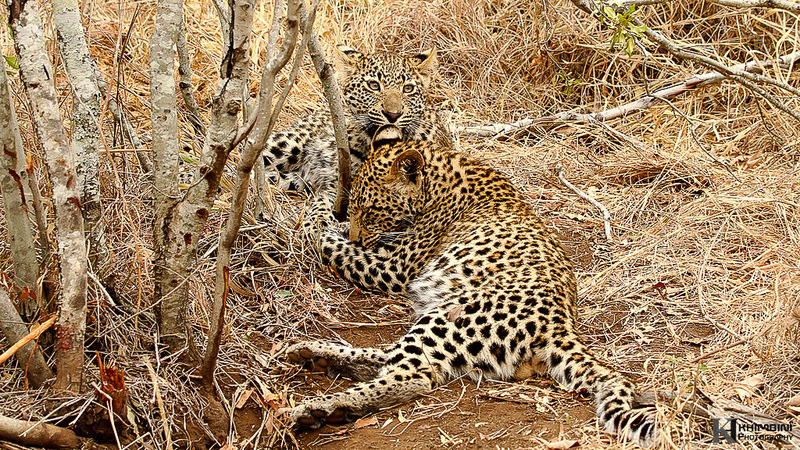 She has got into a serious territorial battle with another female leopard, Xikhavi that resulted in big gash on shoulder of Xikhavi female. She killed an impala ewe on one morning after a good feed she left the carcass in the bushes to rest in the nearby shades. One of the Selati male lion was lying within 400 metres from her; maybe it would have been a good idea to hoist the carcass in a tree. We went back to find her on the afternoon drive only to find that the Selati male had stolen the carcass and she left the area. 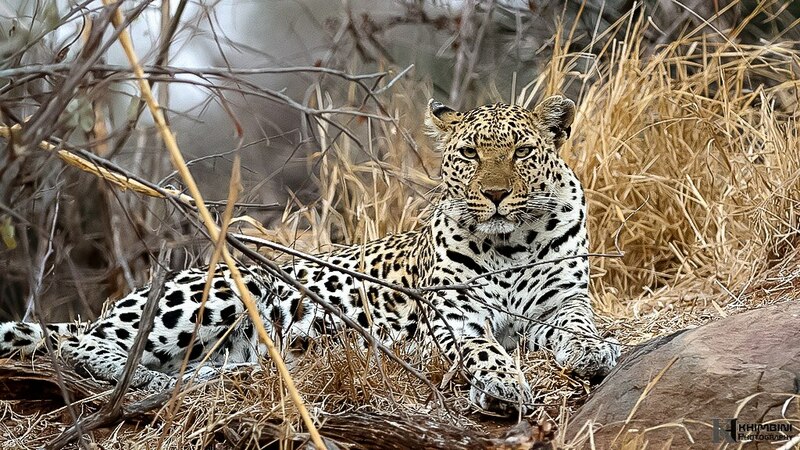 She has settled in her new territory and because of the distance and thick vegetation in that area she is very seldom seen. She was found with an impala carcass hoisted on jackalberry tree. Tlangisa being her usual self, she played with her food until she dropped it accidently and the hyena that was waiting underneath the tree claimed it before she could come down to get it up. 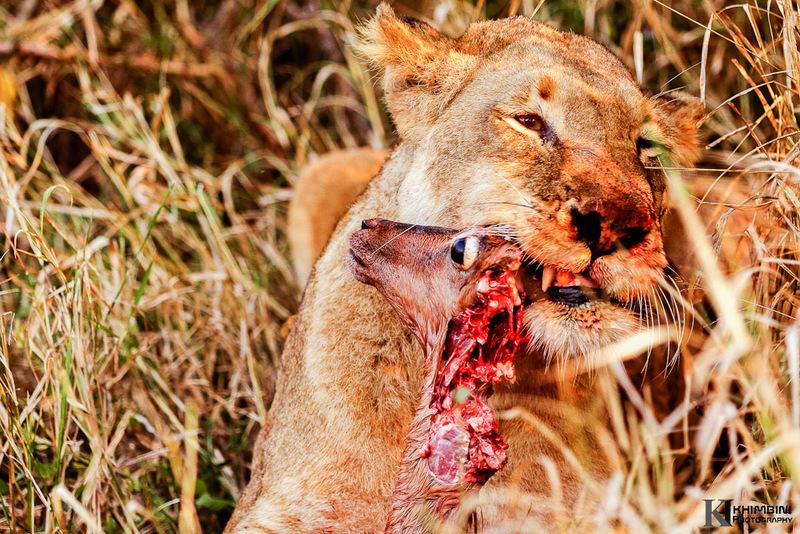 All she could do is watch her hard earn meal being devoured by a hungry mother hyena. This female is very seldom seen as her territory is outside our traversing area, this move however she came across to outside killed an impala, went back to fetch the cubs to a kill. We were treated with some mother leopard and cubs interactions this morning for couple of days. 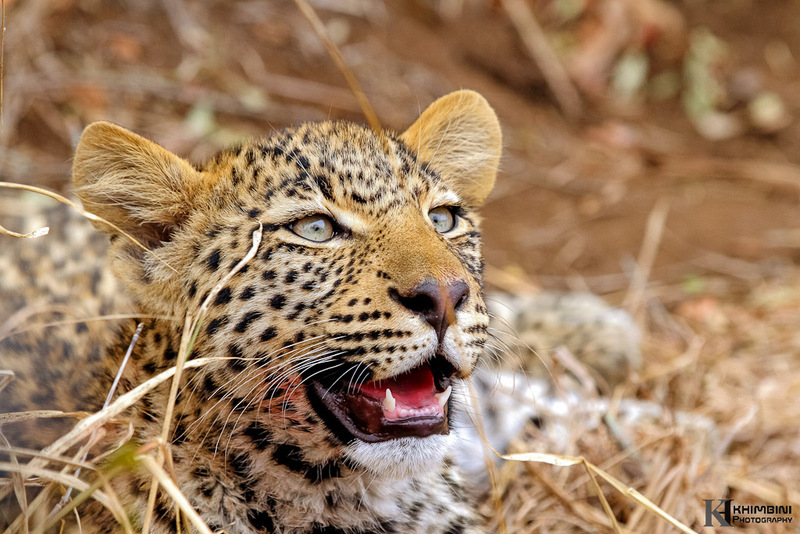 A female leopard, Dam 3 is getting more and more comfortable with us, the game viewers. She has been seen from a distance, resting on a rocky outcrop, upon viewing her for a while we decided to get closer and closer to our surprise she just lay there on the rock allowing for fantastic photography opportunities. Typically this resident female is very elusive, so it is a pleasure to see that this may not always be the case. Lion sightings have been outstanding over the past month. 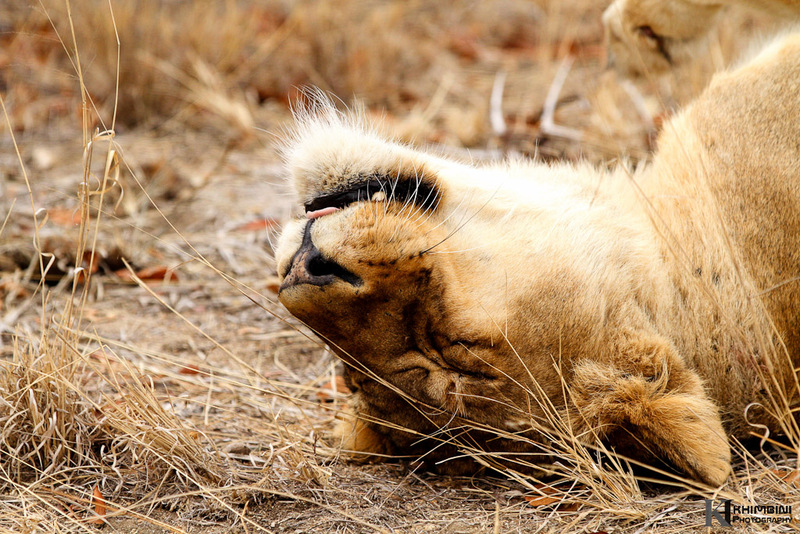 It is a regular experience to see the lions hunting, with varying degrees of success. The Selati males continue to frequent our area and the Ximhungwe pride seems to have finally accepted this new male coalition. There was more mating for good part of the month. There one female was seen mating with one mate for week and straight after that she was mating with another male this is possible for the protection of the cubs yet to be born but certainly helped to reduce fight between the coalition. The three lionesses have been very active this month covering the entire length of our traversing area in search of food and possible den site. We followed them hunting impalas on one morning it was fascinating to watch team work and co-ordinations at play and it yielded good result, they managed to kill sub-adult impala. 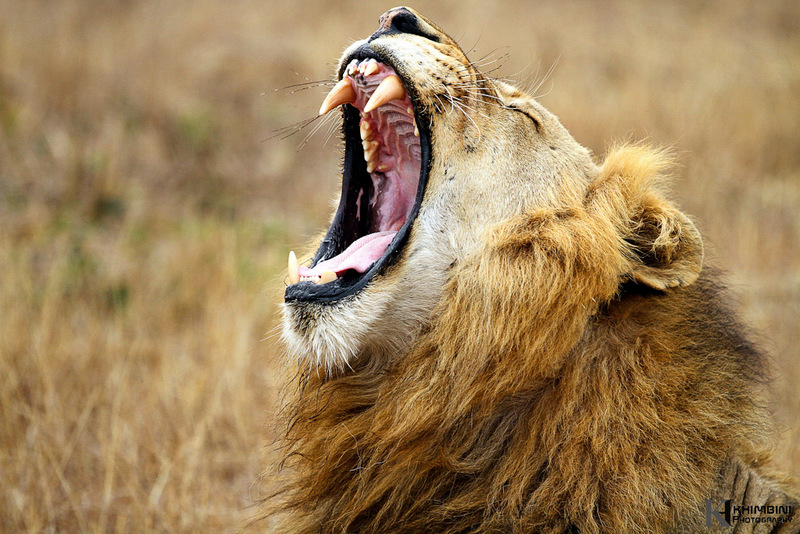 The lionesses are still carrying; the cubbies are on their way, watch this space…. August has always been the month of the elephant. 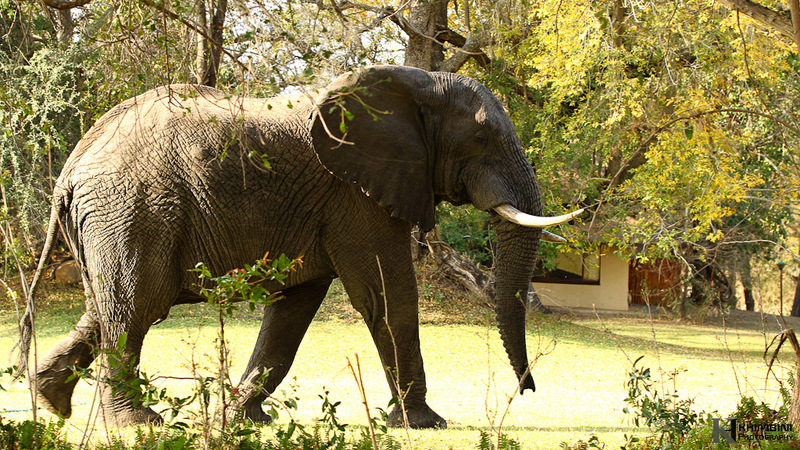 This year, the number of elephants in our area was astonishing. Day and night the lodge was surrounded by large bulls clearing the dwindling greenery. Hardly an activity passed without an elephant sighting. 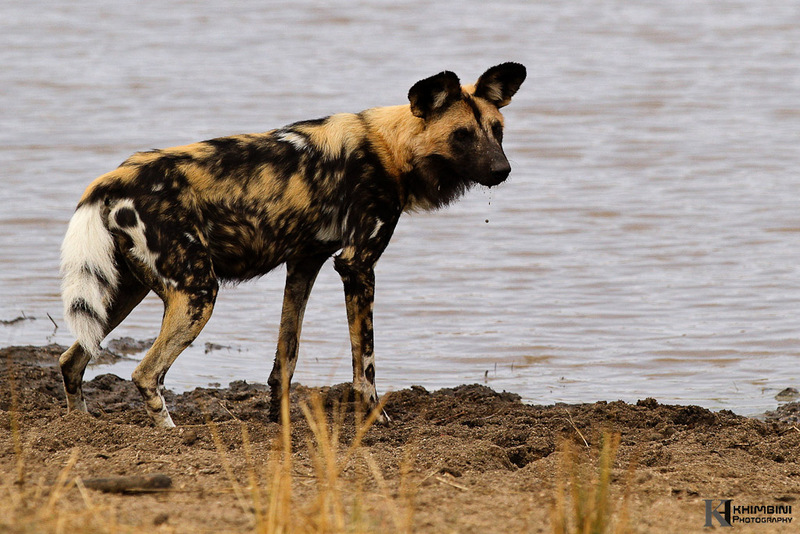 Lone males, breeding herds and the odd bachelor group were spotted regularly. 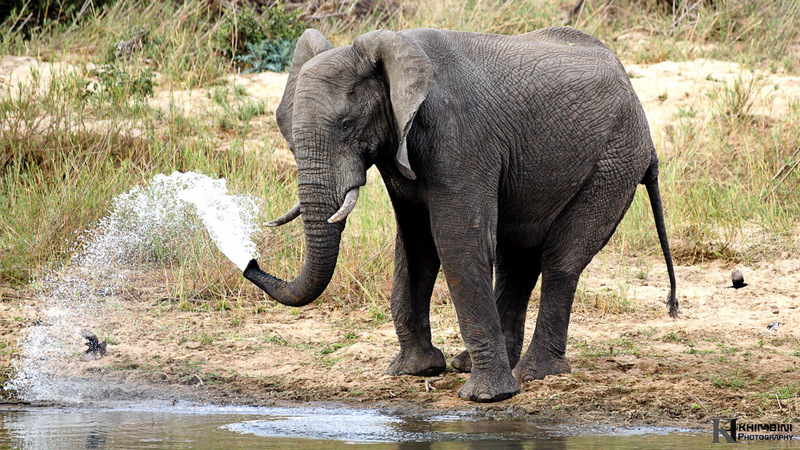 It was rather interesting to watch this bull spraying water on the annoying little bird, the fork-tailed drongo. Many of us on the vehicle thought it was funny but not the drongo who was soaking wet and could barely fly. Only in Africa! 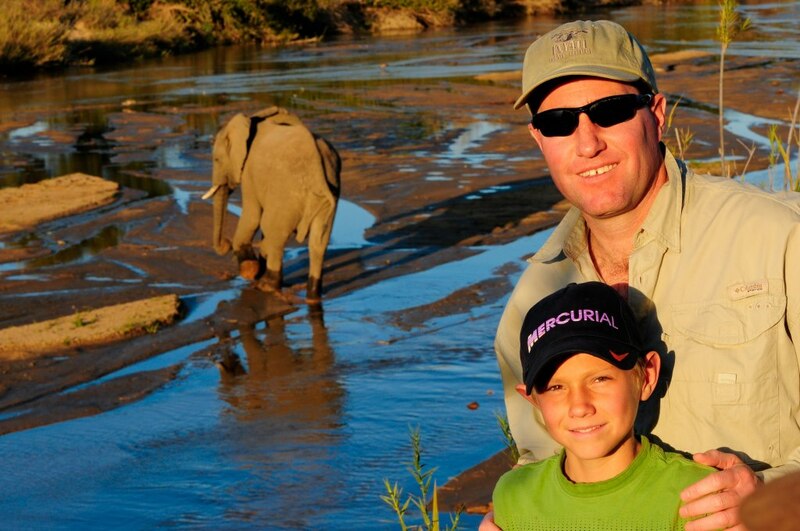 From the safety of Sand River‘s high banks, Father and son enjoying an afternoon with a family of elephant. 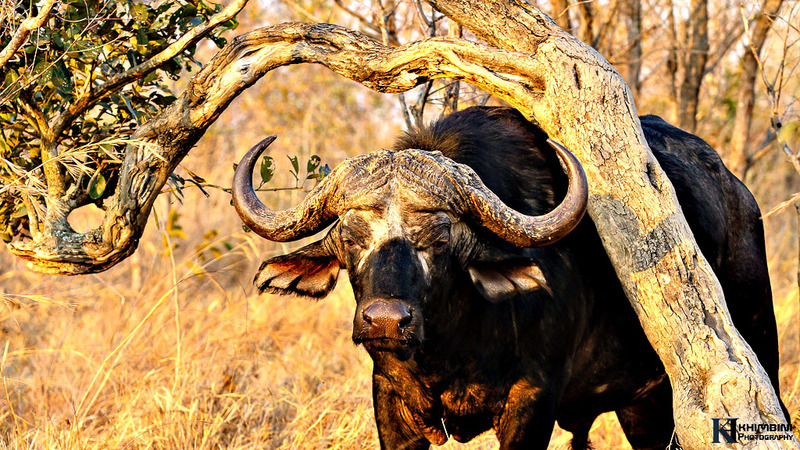 We have had big herds of buffalo back in the area for the good part of the month and there were also lots of bachelor herds of buffalo bulls all around the reserve at the moment as well as the ever-present herd of old males that live around the camp. 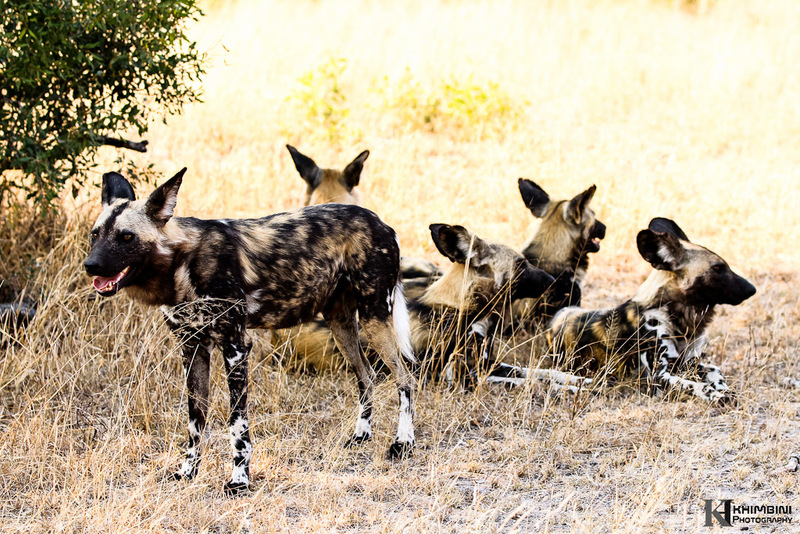 On one morning we watched two lioness hunt ,kill and eat an impala and then just when we thought it can’t get better we heard on radio that a new pack of five cape hunting dogs got sighted ,we rushed there see these beautiful painted animals. And later into the month august the moment we have been patiently waiting for arrives. 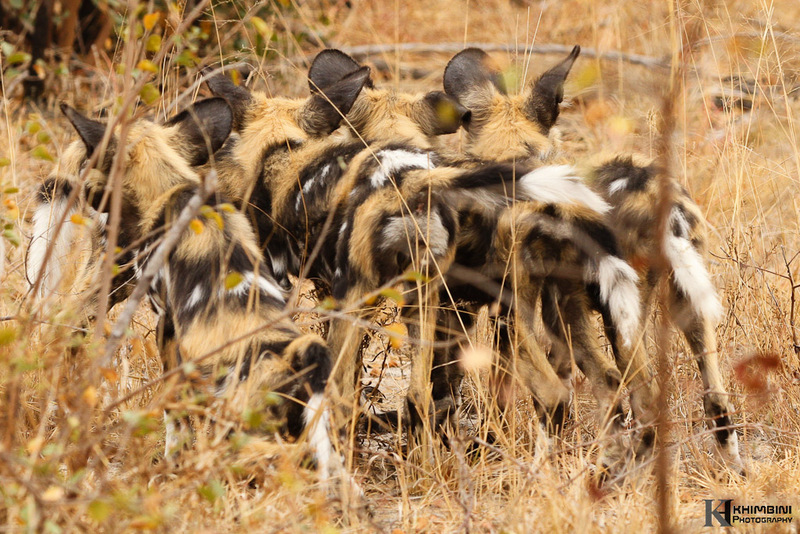 Our resident pack return after four months, they been denning outside our traversing area, they brought back with the 6 little puppies of about three months old just old enough to run with the pack. It’s a privilege to watch these interesting animals go on about their lives. 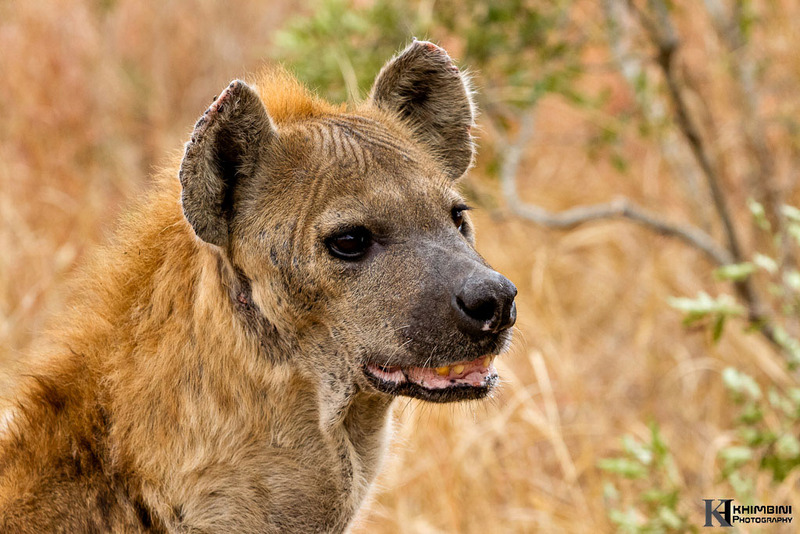 Hyena population continues to increase in the area; we are getting great viewing of these adaptable predators. We followed this lactating mother carrying a large piece of meat for long distance hoping she will take us to her den site but we could only follow for so long before we had to get back to the lodge for a delicious breakfast. This elderly and heavily pregnant hyena waited patiently for some pieces of meat to fall out of tree as Tlangisa female leopard was feeding and it was worth it because the entire carcass dropped. 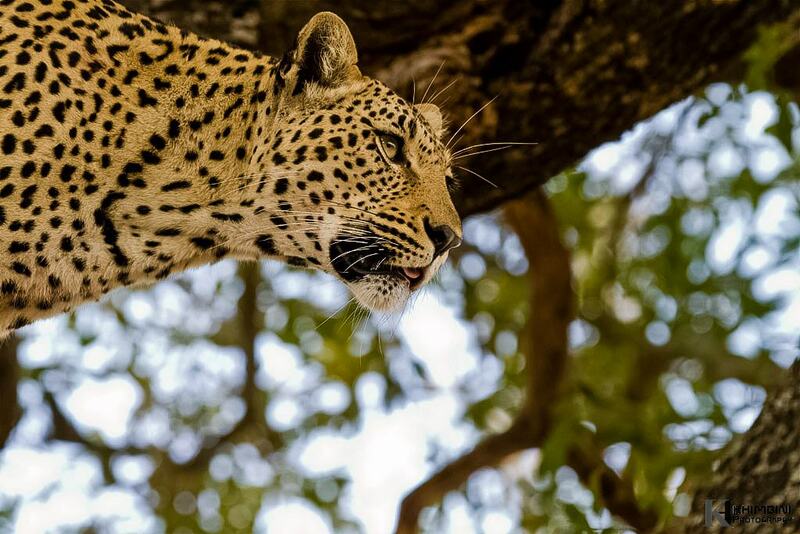 Dayone male leopard walked past room seven just as the afternoon game drive started. 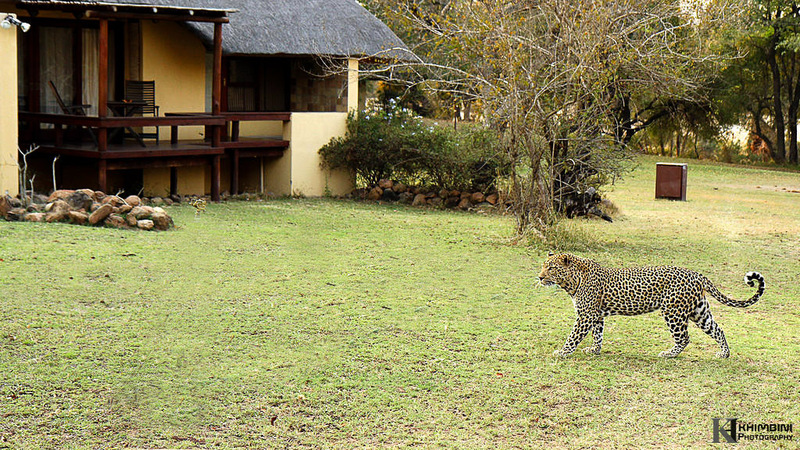 Many animals frequent the river and the lodge from one time to another but watching a leopard walking through the lodge is always a treat for staff that don’t often get to go out on game drives. And the elephant bulls are forever present in the lodge looking some green plant as it is dry everywhere else in the reserve except our lodge garden.